Purple BeautyberryDeciduous shrub. Bright green, elongated leaves on arching stems. Pale pink flower..
Japanese BeautyberryDeciduous shrub. Moderate growth rate. Native to China, Taiwan, and Japan. 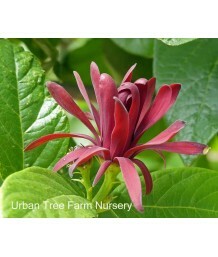 Deep ..
California Spice Bush/California SweetshrubDeciduous shrub. Large, upright-rounded, thicket forming,..
Common Bluebeard/Blue SpiraeaDeciduous shrub. Loose, open growth. Bright yellow green leaves. Amethy..
Common Bluebeard/Blue SpiraeaDeciduous shrub. Loose, open growth. Rich green leaves. Lavender-blue f..
Blue Mist/Bluebeard ShrubDeciduous shrub. Low-mounding plant is valued for its green, aromatic folia..
Blue Mist ShrubDeciduous shrub. 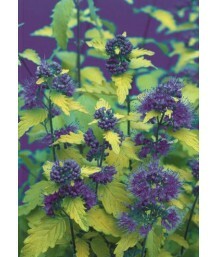 Low-mounding plant is valued for its aromatic foliage and late fragr..
Common Bluebeard/Blue SpiraeaDeciduous shrub. Loose, open growth. Bright golden-yellow leaves with m..
Blue Mist/Bluebeard ShrubDeciduous shrub. Loose, open growth. Bright, golden-yellow leaves come to a..
Button BushDeciduous shrub. Native to California. 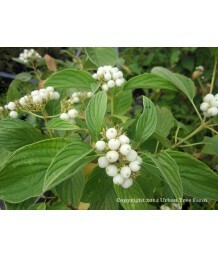 Fragrant white flowers bloom in summer on new wood..
Chinese PlumbagoDeciduous shrub. Spreading habit. Soft green leaves on reddish stems. Small, bright,..
Mountain MahoganyEvergreen shrub. California native. Shrubby green birch-like leaves grow on open ar..
Little Leaf Mountain MahoganyEvergreen shrub. California native. Thin green leaves grow on intricate..
Flowering QuinceDeciduous shrub. Slow growth. Compact form. Double soft salmon pink flowers in Febru..
Flowering QuinceDeciduous shrub. Moderate growth rate. Dense vase shaped form. Pure white single blo..
Contorted QuinceDeciduous shrub. Very early spring bloom. Dramatic twisted branches provide interest..
Contorted QuinceDeciduous shrub. Twisted branches produce pink to peach flowers in Spring. Has tooth..
Flowering QuinceDeciduous shrub. Moderate growth rate. Dense, rounded shape. Big, richly colored, or..
Flowering QuinceDeciduous shrub. Moderate growth rate. Dense, rounded shape. Big, richly colored, pe..
Flowering QuinceDeciduous shrub. Moderate growth rate. Dense, rounded shape. Big, richly colored, re..
Flowering QuinceDeciduous shrub. Moderate growth rate. Dense, rounded shape. Big, richly colored, sc..
Flowering QuinceDeciduous shrub. Moderate growth rate. Dense vase shaped form. Double salmon pink bl..
Flowering QuinceDeciduous shrub. Spreading, yet compact shape good for mass plantings and borders. 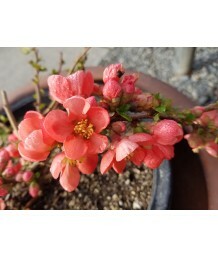 W..
Flowering QuinceDeciduous shrub. 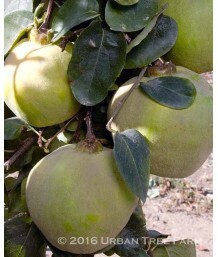 Orange blossoms in Spring may produce bright yellow quince fruit. A..
Flowering QuinceDeciduous shrub. 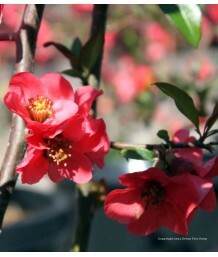 Bare branches produce an abundance of velvety red blossoms in Sprin..
Flowering QuinceDeciduous shrub. Compact, dense and rounded habit with profuse showy white flowers i..
Flowering QuinceDeciduous shrub. Low, spreading habit ideal for hedging or as a barrier. Attracts bi..
Flowering QuinceDeciduous shrub. 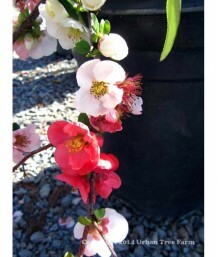 Bare branches produce an abundance of coral-pink blossoms in Spring..
Flowering QuinceDeciduous shrub. Moderate growth rate. Dense vase shaped form. Double deep coral red..
Flowering QuinceDeciduous shrub. Moderate growth rate. Dense vase shaped form. 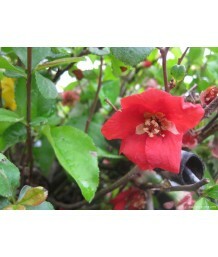 Single deep coral red..
Flowering QuinceDeciduous shrub. Moderate growth rate. Upright form. Bright red blossoms on bare bra..
Flowering QuinceDeciduous shrub. Slow growing compact form. Bright red blossoms on bare branches in ..
Flowering QuinceDeciduous shrub. Moderate growth rate. Dense vase shaped form. Pink and white single..
Harlequin GlorybowerDeciduous shrub. Moderate bushy growth. 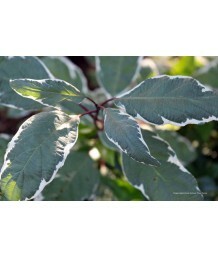 Smooth leaves and green calyxes that tur..
Variegated Red Twig DogwoodDeciduous shrub or multi trunked tree. Pointed, oval, variegated leaves i..
Tatarian Dogwood/ Red Twig DogwoodDeciduous shrub. 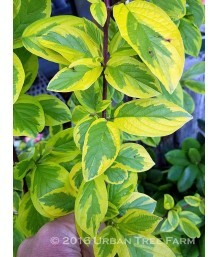 Golden yellow foliage may turn light green in ful..
Variegated Red Twig DogwoodDeciduous shrub. Fast growing, dense spreading habit. It's most showy fea..
Red Twig DogwoodDeciduous shrub. Fast growing, dense spreading habit. It's most showy feature comes ..
Yellow Twig DogwoodDeciduous shrub. Fast growth. Large spreading shrub with bright yellow stems in w..
Yellow Twig DogwoodDeciduous shrub. Fast growing, dense spreading habit. Much like the Baileyi, this..
Red Twig DogwoodDeciduous shrub. Fast growth. A compact shrub with showy red stems in winter. Pointy..
Red Twig DogwoodDeciduous shrub or small multi trunk tree. Pointed oval leaves are green from spring..
Peking CotoneasterDeciduous shrub. Slow to moderate growth. Dense growth can be used as bank cover o..
Cranberry CotoneasterDeciduous shrub. Slow to moderate growth. Dense growth can be used as bank cove..
Rock CotoneasterDeciduous shrub. Fast growing, low spreading mat. 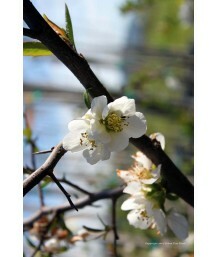 Small white flowers in spring are .. Hedge CotoneasterDeciduous shrub. Upright habit. Spreading branches with lush, shiny green foliage t..
Rock-Spray CotoneasterEvergreen shrub. Moderate, horizontal growth that will root. White flowers tur..
Rock-Spray CotoneasterEvergreen shrub. Horizontal branches will root and spread. Small, green-grey .. Dwarf RocksprayEvergreen shrub. Used as a groundcover. Less aggressive as other cotoneaster. Small r..
Willow-Leaf CotoneasterSemi-evergreen shrub. White flowers turn to red berries. Narrow, dark green l..
Warminster BroomDeciduous shrub. Compact growth. Mounding mass of pale yellow to creamy white flower..